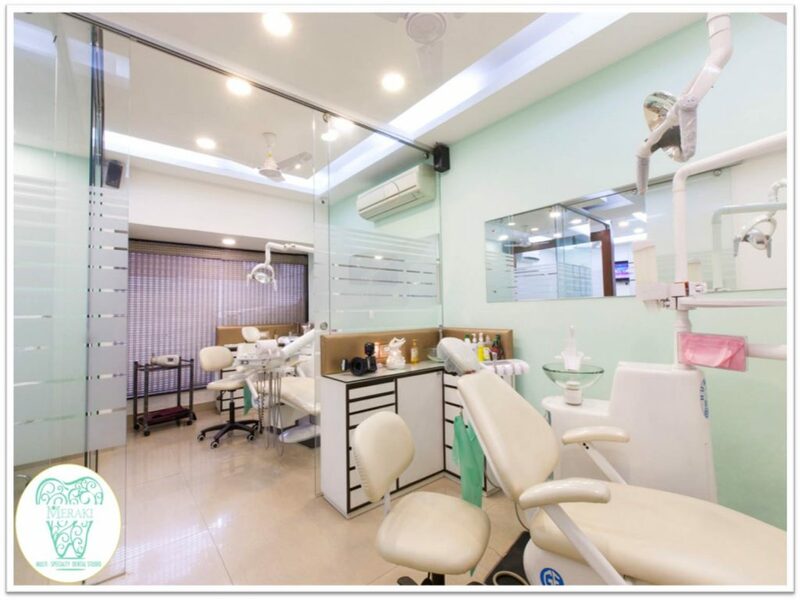 TIMINGS: Mon- Fri: 9:00 a.m. – 7:00 P.m.
Meraki Multi-Specialty Dental Studio is a state of the art facility with well-qualified dentists who believe in continued education and utilizing world’s latest technologies and procedures to offer unprecedented service and care which you and your family is looking for. We believe in minimally invasive and painless dentistry. Preventive dentistry is our ultimate goal for every patient, which includes educating patients about daily dental hygiene and proper nutrition, as well as the benefits of periodic cleanings and checkups. 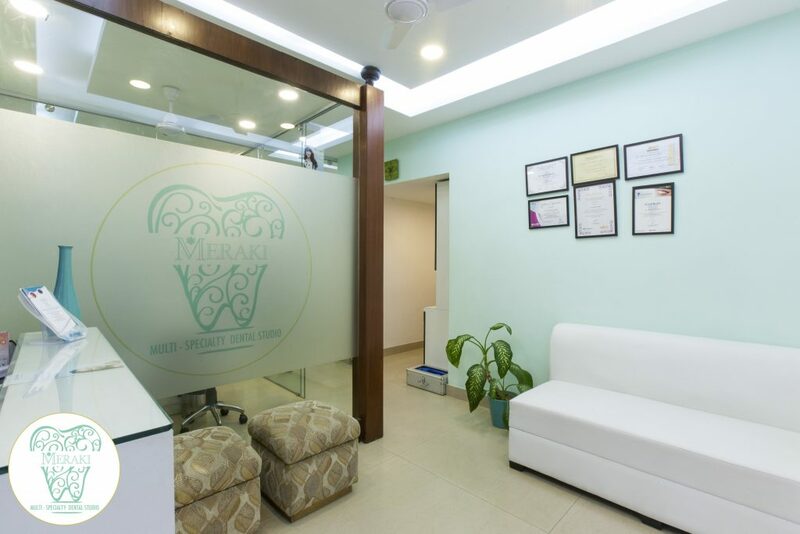 Meraki is one of the one of the best Dental Clinics in South Delhi and is known for its team of well qualified doctors who have earned their professional qualifications from top universities in India & abroad, and possess years of unmatched experience. 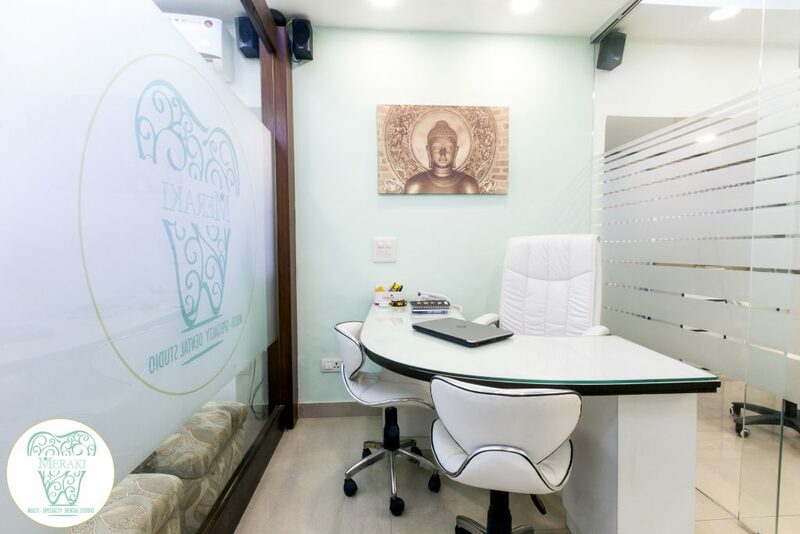 We have the finest team of dentists from all specialized fields—Advanced General Dentistry, Aesthetics/Cosmetic Dentistry, Oral Surgery & implantology, Orthodontics (braces), Pedodontics / Paediatric and Prosthodontics. Our mission is to develop long-term relationships with our patients and to ensure distinguished service through personalized, honest, ethical and informed care. 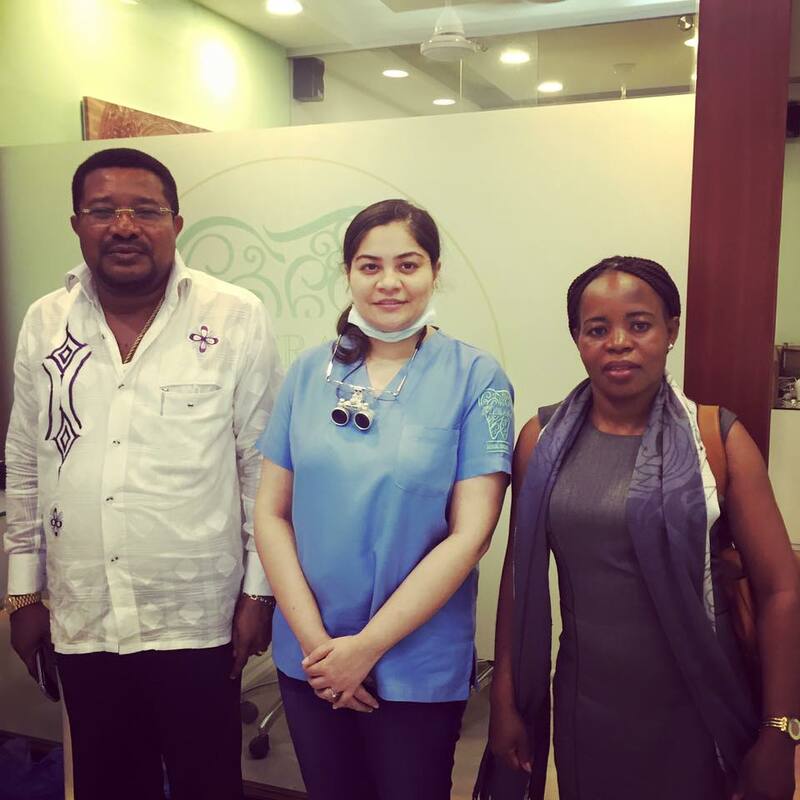 Our aim is to help the community achieve excellent oral healthcare through high quality, multidisciplinary and cost efficient dental services and procedures. I am Dr. Harleen Gandhi Kalsi, alumni of prestigious New York University. Practice in heart of New Delhi, beautiful capital of Incredible India. We have helped the community achieve excellent oral healthcare through high quality, multidisciplinary and cost efficient dental services and procedures over the past 8 years. Get a free consultation with Meraki Dental Studio. Dental Implants, Smile Designing, Root Canal Treatment, Teeth Whitening, Veneers, Dentures, Zirconia Crowns, Tooth Jewelry, All on 4 implants, Sinus Lift, Bone Grafting, Immediate Implants. We have placed over 500 dental implants. The success rate is 100% providing there is enough bone to begin with, the patient does not have medical conditions and can keep optimal oral hygiene. Medically Compromised individuals usually pose less success rate. Clinical Acumen, Affordable Prices, Comprehensive treatment Planning and timely execution, Friendly Team, State of the art Technology, World class Infrastructure and Sterilization. Majority of our patients come through Patient referrals and also by online reviews. The way that your teeth come together and the forces they may exert on the newly placed implant(s). **We provide a full range of dental implant treatment from just a single tooth implant to full jaw implants. We understand needs of overseas patients and specially the time restraint. Thus, we have developed a very efficient customer service to make it easy for overseas patients to start off their journey. It is most convenient to contact us via email, then we may ask for OPG x-ray / CBCT or photos of your teeth to be sent over. We will then be able to give you a tentative treatment plan and an estimate of the cost. Dental implant surgery is usually done as ‘keyhole surgery’ using a local anesthetic and is a painless procedure. There is minimal pain and discomfort after which can be easily controlled with painkillers for a short period of time. We accept cash in INR and USD. And also credit cards with no additional charges. We also accept NEFT and Cheques. Patients can also transfer money in advance if they do not want to carry cash with them. Dental implant treatment usually involves two stages, 3-6 months apart. Suppose patients have enough bone to begin with and do not need a complicated bone grafting, 2 trips in 3-6 months are required to finish the treatment. Patients should spare 7 days each trip for the treatment including recuperation period. In some cases, a one trip with the immediate loading implant is possible but please note that not everyone is a candidate. The healing time for the first stage is from 3 to 6 months, depending on the sites of the surgery and whether bone grafting is needed or not. Dental implants are typically placed in a single sitting though a follow-up appointment may be needed in certain cases. Patient is advised to travel back for consultation. We can replace the implant for free with minimum surgical charges. Have a question or inquiry? Click the green button to get in touch with Meraki Dental Studio.